We can prove that it is worth changing the formal working environment of congresses or trainings for the charming area of mountains. We will see to it that you can fully concentrate on your work without being disturbed. When your conference or training day is over and you have put the agenda aside, it is time you recharged your batteries and enjoyed the beautiful Vrátna Valley, which is ideal for hiking trips and sports activities to share and enjoy with your colleagues. What makes it even more special is the fact that even the conference breaks can be spent with short walks in the hotel´s surroundings. Just a look at the grand mountains will make your mind feel quiet and provide comfort that only the nature can bring about. We are sure that in the evening, when the training, or conference, is over, you will appreciate the relaxation in our Relax Centre with a pool, sauna and beautiful mountain panorama outside the window. We know very well that a flawless congress or conference cannot do without perfect gastronomic services. So we pay special attention to tailoring the menu to your needs and expectations, from coffee breaks, banquets prepared in the classic form through buffet tables, to grilling on the terrace, pig roast, or candle light dinner with quality wines tasting. 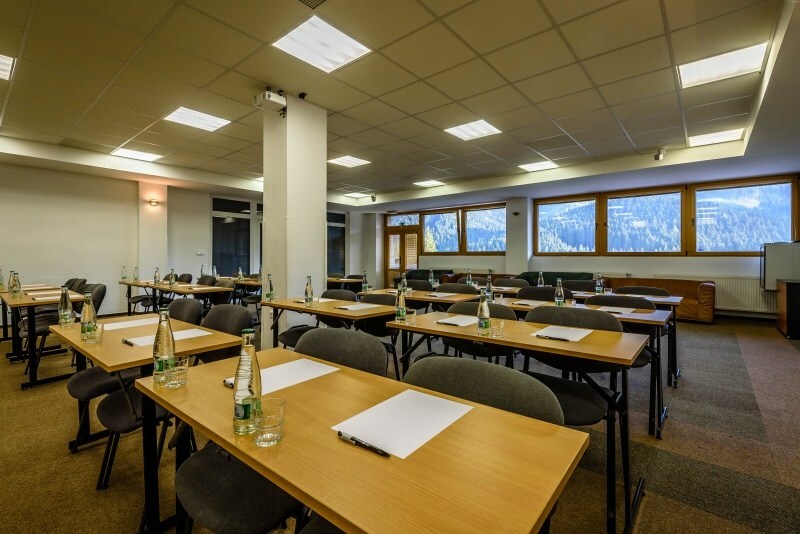 We have prepared several types of conference/training rooms. 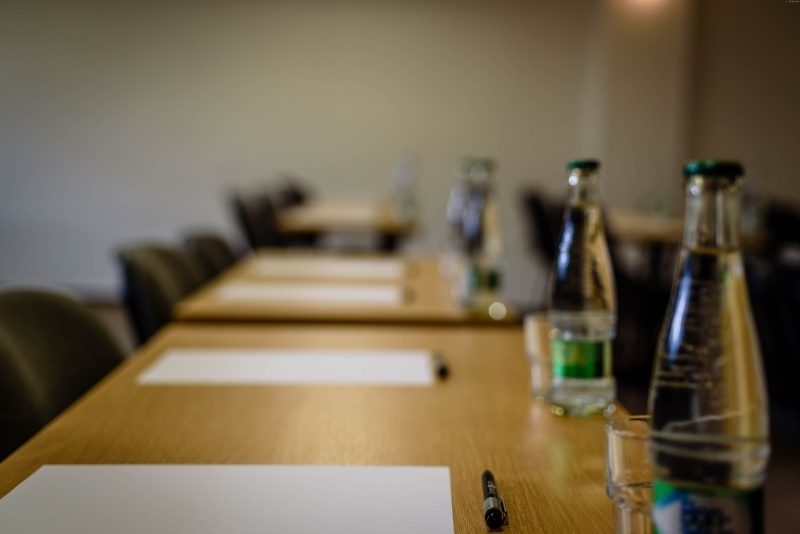 Our staff are ready to help you with the arrangement so that you feel as comfortable as possible and everything lives up to your expectations of a successful course of the event. 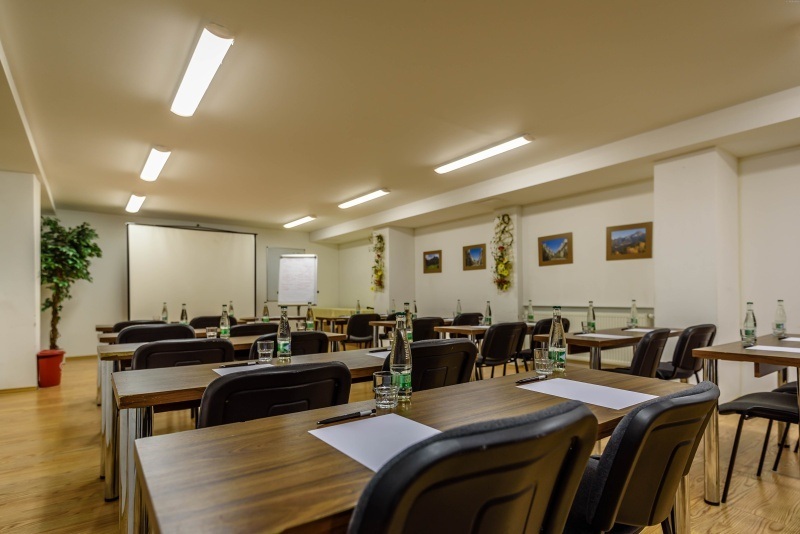 The accommodation in our rooms, from which you can take delight in the splendid view of the Malá Fatra´s summits, is part and parcel of a congress or training. Needless to say, every room at our hotel has internet connection, which we find a necessity, especially during corporate events. Although congresses or trainings relate to work, Vrátna Valley is also an ideal place to enrich your stay offering various programmes or team building activities that we can perfectly tailor to your needs – trips in the surroundings, sports activities with professional instructors, or the classic sports-relaxation programmes at the hotel. Summer hiking, winter hiking, cycling, horse riding, rafting, combined competitions, professional scooter riding. Terchová music, traditional folklore dances, stand-up comedian. DJ, karaoke, ballroom dances, fire show. Sauna, pool, massage, billiards, table football, table tennis. Just leave everything to our ideas and imagination.